Imagine this: you’ve got a product. It’s polished and ready for the big league. You want it on the shelves of every retail store out there, and you have a retailer actually interested in selling it. Just one problem…you need a barcode so their stores can scan it at the register. Now what? Surprisingly, a lot of businesses with physical products don’t have barcodes. Reasons include: they don’t know how to go about getting them, barcodes are too expensive for their current business income, they don’t see a current need to have them, or they aren’t organized enough to have gotten that far. I say “barcode” because the term “UPC” can actually be a misnomer. A UPC uses a barcode, but barcodes can include many other types of product identification codes. 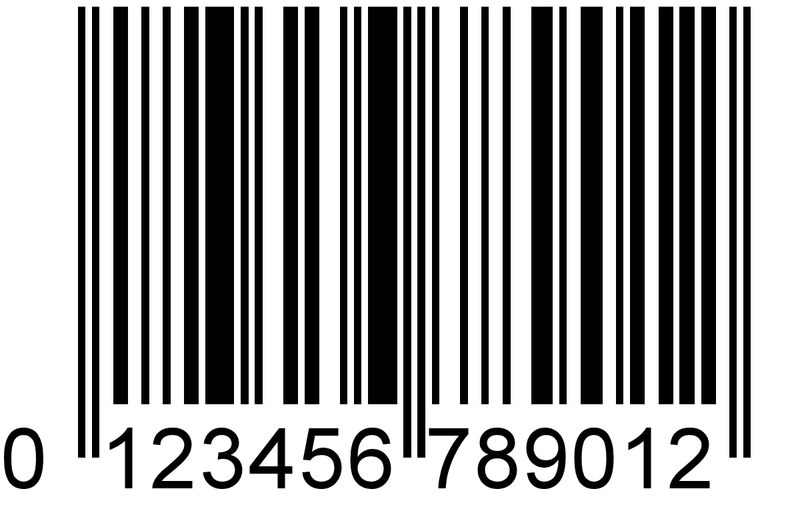 In the United States, the UPC and its sub-types are the most commonly seen barcodes. If you’re in Europe, it’s EAN/IAN, and if your product is a book, it comes from the ISBN. How you intend to use your barcode will determine what kind of barcode to obtain. I don’t say “buy” because you don’t have to buy barcodes in every case. In our previous scenario, we wanted to get it on the shelves of retailers. Well, which retailers? If you want your product sold in Wal-mart, Kroger, JC Penny, etc., there’s only one answer: the GS1 Global Supply Chain Registry (www.gs1us.org). Retailers will look there to verify that you have a GS1 barcode. The GS1 can sell UPC and EAN barcodes. Their barcodes are the bible for national and international sales in the major supply chains of the world. If your company and products are not listed there, you’re not getting on the shelves of those top retailers until you are. Why? They don’t have the time to make sure everyone’s barcode is unique. The GS1 does that for them, so that’s what they use to verify. GS1 barcodes are also another item that reaffirms your business’s credibility. GS1 barcodes are permanent. You can’t sell your barcodes when you’re done using them (product is discontinued, etc.). You can’t even sell the ones you don’t use. Why? The barcode itself is encoded with a couple of important things: the country of origin (usually where you’re headquartered), and your company prefix (unique identification number). The first part of the barcode includes those things so that the global supply chain can look up a company and determine what their barcode ranges are. If you try to sell or purchase barcodes with 3rd party companies in the GS1 ranges, those barcodes are going to have the wrong company prefix. Beyond that, a barcode is an ID that is linked to a product for as long as the barcode system is used. You can’t even reassign a barcode to another of your products because then you muddy the waters for those that might have already referenced the barcode for your original product. For this reason, the GS1 does not allow reassigning barcodes. If you’re not looking to sell to those specific top retail chains of the world, you might purchase grandfathered GS1-range barcodes from 3rd parties. Grandfathered barcodes are those that were purchased in bulk by companies before 2002, when the GS1 officially canceled the ability to sell your unused barcodes to others. Official GS1 barcodes are somewhat expensive and have a yearly maintenance fee. You also have to plan ahead and reserve a range for your company prefix that you think you’ll grow into in the future. Those reservations cost more money and you, unfortunately, do need to take reservations seriously. It’s not a good idea to think that you can just buy more later when you need them. 3rd party GS1-range barcodes usually have a one-time purchase price with no maintenance fee. The downside is that the company identifier doesn’t match your company name, a search in the GS1 won’t result with your information, and if you ever want to grow into those top retailers, you’ll have to toss these barcodes and get new ones later, which will be a real complication to your current retailers. The upside is that you have barcodes that are legitimately within the GS1 range, supported by 99% of the retailers out there, significantly less expensive, and no one else has your numbers. A well reputed supplier for these particular ranges is Nationwide Barcode (www.nationwidebarcode.com). They are broadly supported by retailers including Google, Amazon, and others. There are other providers, and quality of experience may vary. Just remember that all sales are final. Once you have a range, no one else can have it and you can’t return the unused portion. Sounds complicated, right? It might sound nice to just create your own and save a buck. If you think you can just make one up, you’re standing in a minefield. It’s true that you can make up your own barcode. There are many sites that will let you plug in any number and it will generate an image of the barcode for you to use. However, if you use a number that happens to already be in a registry like the GS1, you’re headed straight for a lawsuit by the rightful owner. You’d be forgiven (by me and only me) if you thought that you could use an existing barcode because the legitimate owner is in a totally different industry. They make catalytic converters and you make Easter eggs. Unfortunately, it’s a GLOBAL identification. Companies like Costco and Wal-mart sell both of those products, and in many countries. They can’t have two products in their database with the same barcode. If you’re caught using another company’s barcode, you’ll be blacklisted from that retailer. Bottom line: NEVER use a barcode number that is already registered to someone else! “I have one product and several sizes/colors. I’ll just use the same barcode for that product and save some money.” I’ve seen that tried before by inexperienced startups. It’s not going to fly. When a company needs to reorder the pink model because the ladies love it, how are they going to do that? If you think the retailer is going to go through a special ordering process just for you that identifies the barcode AND variations within that, you’re wrong. Their reorder system is likely automatic. Variations of a product are different products. Unless you’re selling bouncy balls that have natural or non-specific color variations, you’re going to need more than one barcode. To use a single barcode, you’ll have to choose your wording carefully so that the retailer understands that they cannot reorder a specific color/size/variation. Their order is a toss of the dice for which variations they’ll receive. Some retailers have a range of internal barcodes that they can lend you within their organization. It’s a proprietary range and can only be used in their systems. It’s uncommon for a major retailer to do this though, as it would be their expense to print and attach the barcodes to your products, as well as the products for other companies without barcodes. Don’t bank on them doing this for you. Most won’t. Some will put their own barcodes over yours. There are competitive marketing and logistic reasons for this. Again, don’t bank on them doing this either. It’s for their benefit, not yours. Let’s assume now that you don’t need a barcode in the GS1 range. You want to stay small-time, or work in an industry that doesn’t use the GS1. Can you make your own? Yes, but be careful about it. Make sure that your barcodes are in a limited retail use, and definitely make sure your barcodes don’t overlap existing ones. That can be a real pain to figure out if you’re new to it. It’s easier to have a barcode database assign some for you. They’ve specialized in this kind of unique information. Non-GS1 databases are very inexpensive and can be widely supported, depending on the database you use. If you still want to do it yourself, at least consider using pre-built code formats like Code 39, Code 128, etc. It’ll save you time. Most versatile, of course, is the 2D barcode. There are so many uses for these that you could go cross-eyed. You can use these as hot links to your website, product information, a coupon code, your business information…I even designed a family reunion t-shirt once with a giant 2D barcode on the front that included the family event and all of the family’s names. 2D barcodes can hold a lot of information. Again, when using these don’t tread on registered barcode numbers. While you can use these to just hold a UPC or EAN, remember that many retailer scanners can’t read 2D. If the scanner uses just a laser, it’s not going to work. 2D barcodes require an embedded camera. The number of retailers with this capability is growing, so just check first before you decide to go with this method. If you’re using a 2D barcode, note that you’re not limited to just using numbers, but your retailer’s inventory system might be. Check first. There are other barcode systems constantly coming out. RFID (Radio Frequency ID) is still a young technology, as is NFC (Near Field Communication). There are some companies that will embed these technologies into business cards and product tags, though they are still rather expensive by comparison and retailer support is almost non-existant. I indicated earlier that you don’t always need barcodes for your products. But if you want to be on major retailer shelves, you have to have one. It’s not an option. In the course of dealing with manufacturers and retailers in my industry (primarily SCUBA), I have found that the retailers get by without them. But every single retailer I talk to says they wish all the manufacturers used them. It makes their inventory management less complicated and time consuming, and faster to sell at the register. When you consider the number of retailers worldwide having to manually enter the details of each product for each manufacturer, you find a LOT of lost time handling merchandise data rather than spending the time selling more of it. Consider that before you shrug off the idea of using barcodes. Hopefully now you have enough information and terminology to know where to go from here. It’s a complex topic. 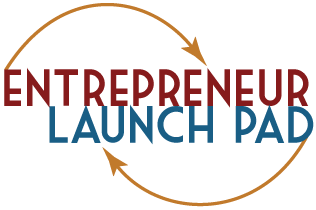 If you have questions, feel free to ask in the comments below, or join us at any of our ELP meetings (click on Find A Meeting in the menu above). I’m at the Sandy location on Fridays. Stephen Ellis is the Sandy Site Co-Leader for technology topics, and is President of Visible Divers, Inc.